Big Ideas Did You Know? Cognitive scientists have known for decades that humans are inherently irrational when it comes to making economic decisions. This may seem obvious to a good poker player, who will likely utilize mathematical probability to make economic decisions during a poker game, but to most people the fact that they have systematic economic biases might come as a surprise. What might be even more unsettling is the fact that we are also prone to systematic irrationality when making political decisions. One neuroimaging study, conducted during the 2004 U.S. presidential election, looked at how partisan voters process contradictory information about their party’s candidates. For example, subjects might read a quote by John Kerry espousing his support for economic sanctions instead of war in Iraq, and then in the next slide read a quote saying he unequivocally supports Bush’s decision to invade. As you might expect, Democratic subjects could recognize the contradictions in quotes by Bush and politically neutral celebrities, but found ways of rationalizing away Kerry’s inconsistencies. Republican subjects showed the opposite trend: They recognized inconsistencies in quotes by Kerry and by politically neutral celebrities, but not in quotes by Bush. This isn’t surprising, but what’s worth noting is that while subjects reasoned away their own candidate’s contradictions, their brains didn’t show any significant increase of activity in brain regions previously associated with “cold” reasoning. Instead, the researchers saw greater activation in brain regions associated with emotional processing. The takeaway: Both liberals and conservatives fit new information into pre-existing, emotionally regulated cognitive schemas, regardless of whether or not doing so is logical. People might explain to you why their decisions are rational – they might even think that they arrived at their decisions through reason alone – but in fact they’re simply justifying “gut” emotional reactions. This is similar to what some cognitive scientists call retrospective construction, which is the illusion of having made a conscious choice after we have already unconsciously decided on a course of action. Another study found that when doing a simple decision-making task that involved some risk, Republicans and Democrats showed significantly different activation levels in brain areas associated with emotional processing. Specifically, Republicans tended to more strongly recruit the right amygdalaA collection of nuclei found in the temporal lobe. 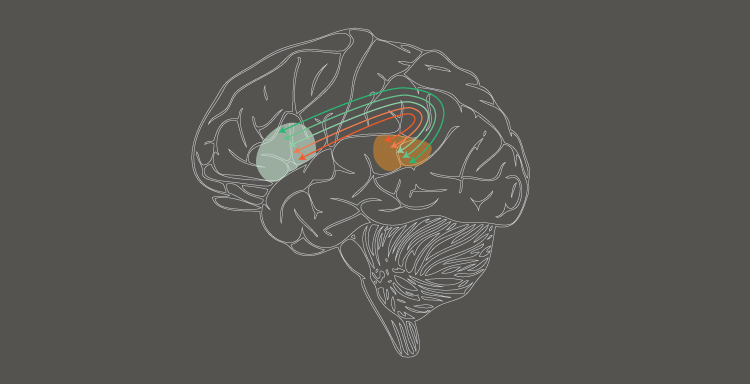 The amygd... and Democrats tended to more strongly recruit the left insula. While you could come up with some story about what this means for the difference in how conservatives and liberals emotionally process information, the more interesting finding is that differential activation of the amygdala and insular cortex is a better predictor for partisanship than any other measure yet proposed – it’s far more accurate (82.9% accuracy) than guessing your affiliation based on your parents’ partisanship (69.5% accuracy). The problem this finding raises is this: How certain can you be that you have arrived at your political beliefs rationally when a neuroscientist can accurately predict those beliefs just by looking at brain regions involved in emotional processing? What does this mean for political philosophy? Plato realized millennia ago that humans are inherently irrational. That’s why, in his Republic, he proposed that we should place all political power in the hands of trained philosophers, who are ostensibly more capable of “cold,” detached reasoning than the common person. He called these leaders philosopher-kings. But philosophers are also capable of bad reasoning – Plato himself lived long before people in the West started to seriously question the ethics of slavery or the subjugation of women. Placing all political power in the hands of one of his philosopher-kings, who would have likely acted in line with the moral ethos of the time, would have led to an immoral totalitarian state by today’s standards. But we can sympathize with Plato’s concern over an unenlightened democracy: The citizens of Athens, the birthplace of democracy, voted to execute his mentor Socrates for corrupting the youth of the city. Perhaps Plato thought that if philosophers were in power, or if Athens had leaders who were capable of really rational thinking, then they would have recognized the service Socrates was providing by compelling other Athenians to critically examine their lives. That same concern remains with us today: We value democracy, but if voters are uninformed and don’t think critically, then how are they to be trusted to make rational political decisions? We have something that the ancient Athenians lacked, and that is near universal access to information. If ever a question about some fact arises, most people in the West are at most minutes away from the best answer we have. The problem is that near universal access to cold facts doesn’t seem to have made people better at cold reasoning. As we have seen, even when faced with clearly contradictory information, we can fit that information into pre-existing cognitive schemas. If we are to avoid voting for the wrong cause, as the Athenians did when they executed Socrates, then we must become more rational thinkers. But how can we get everyone to think more rationally? The solution, I think, is near universal education in philosophy. If democracy is to make us all kings, then let us be philosopher-kings. Philosophers are by no means immune to the biases that lead to irrational decision-making, but training in philosophy makes you far more aware of your own biases, if only because other philosophers will pick apart every assumption and contradiction in your beliefs. And if it is difficult for someone to hold on to an irrational belief in a philosophy seminar, just imagine how hard it would be to perpetuate poor thinking in a society in which everyone is a philosopher-king. This post originally appeared on danieltoker.com. Westen, D., Blagov, P. S., Harenski, K., Kilts, C., & Hamann, S. (2006). Neural bases of motivated reasoning: An fMRI study of emotional constraints on partisan political judgment in the 2004 US presidential election. Journal of cognitive neuroscience, 18(11), 1947-1958. Schreiber, D., Fonzo, G., Simmons, A. N., Dawes, C. T., Flagan, T., Fowler, J. H., & Paulus, M. P. (2013). Red brain, blue brain: Evaluative processes differ in Democrats and Republicans. PLoS One, 8(2), e52970. "Daniel Toker is a neuroscience PhD student at the University of California, Berkeley, specializing in computational and cognitive neuroscience. In his research, he uses information theory and graph theory to characterize what the brain is doing when it's conscious, and what changes when it's not. Before coming to Berkeley, Daniel studied philosophy and neuroscience at Princeton University. His other science writing can be found on the following social media platforms: Instagram: @the_brain_scientist, Twitter: @daniel_toker, Website: danieltoker.com." Social Grooming: It’s not just for monkeys and prairie voles!